Based in the beautiful Colorado Springs, Rampart Aviation is a bit of a jack-of-all-trades — undertaking ‘operational, maintenance, and training aviation support operations’ all across their native United States as well as internationally. They prize safety above all else, which led them to switch from their old tracking system to Spidertracks in April 2018 in favor of an all-inclusive approach that incorporated a robust and reliable communication aspect. Rampart Aviation operates a variety of STOL (short take-off and landing) type aircraft supporting Department of Defense, oil and gas operations, and cargo operations. I found Spidertracks online in my hotel room in Morocco! I was getting tired of the unit we used in the plane at the time and the fact that we used two different systems throughout our platforms (our previous system didn’t have an communication piece integrated into the tracking device). I knew there had to be a way to simplify this. I know our flight ops were really impressed with the presentation Spidertracks did at the home office. The selling point was the integration between AeroNet and Spidertracks that the company offers, which will help us move toward a paperless flight department. The first unit went into one of our planes in April 2018. 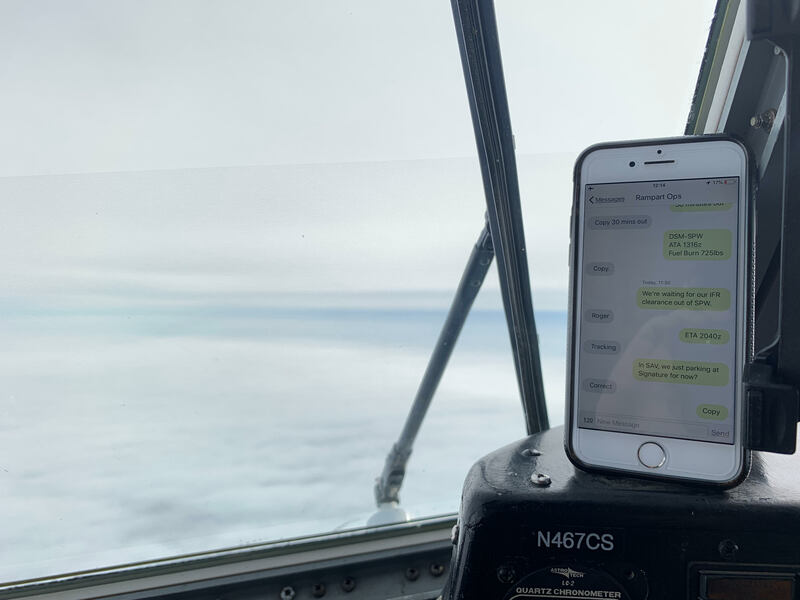 Being able to communicate from the plane, especially during our flights overseas, is essential. The real-time accuracy is also invaluable, as is the fact that the unit is hardwired in and that both the unit and software are user-friendly. Spidertracks has enabled us to communicate in real-time with our pilots. It’s also increased our billing efficiency by allowing us to automatically track on and off times. Interested in learning more about what Spidertracks can do for your aviation operation? Try a demo.